I am happily married and have been for almost *drum roll* one year! After this (almost) milestone in marriage, there are a few things I’ve come to realise that marriage will not do for me. Thankfully, I knew some of these before I got married, but the past few months have highlighted the rest. Here are five things marriage will not do for you. 1. Marriage will not solve all your problems. Please hear me out; of course, marriage is great. If you’re married to someone that you love and that loves you back, you will both make each other happy in various ways. You get to do fun stuff together, you have someone to share the mundane aspects of life with, someone to talk to when you’re sad, and someone that you can count on to always be there. But if deep down you’re not happy with your life, or yourself, marriage will only mask that unhappiness for as long as the honeymoon period lasts. If anything, marriage could make you more miserable because you now have someone else’s worries to deal with too! So, if you’re looking to get married because you think it will solve all your problems, think again. It would be wise to look deep within, figure out what is making you unhappy and do what you can to resolve it before venturing in. If you don’t feel fulfilled as a single person, marriage will not give you that sense of fulfilment. If your life’s goal is just to get married, then you may be satisfied, but only for a short while. Our sense of fulfilment comes from doing what we were created and placed on this earth to do, and marriage may be a part of that, but it is not all of it. As Christians, we know that only God can truly satisfy. And I’m not talking about the kind of satisfaction that is fleeting, but the kind that lasts for eternity. One of my mentors is an unmarried lady in her seventies. Whenever I watch and listen to her I get the sense that she is satisfied with her life, living it to the full, and having as much fun as she can in the process. This leads me nicely to the third point. 3. Marriage will not reveal your life’s purpose. The reason this friend of mine is living a fulfilled life is because she is living her God-given purpose, part of which includes mentoring young people, ministering in churches, and preparing young couples for marriage (believe it or not). God has created each of us for a purpose. Our primary purpose is to please Him in all that we do, but, each of us has a specific call on our lives that we need to discover whilst we’re here on earth. 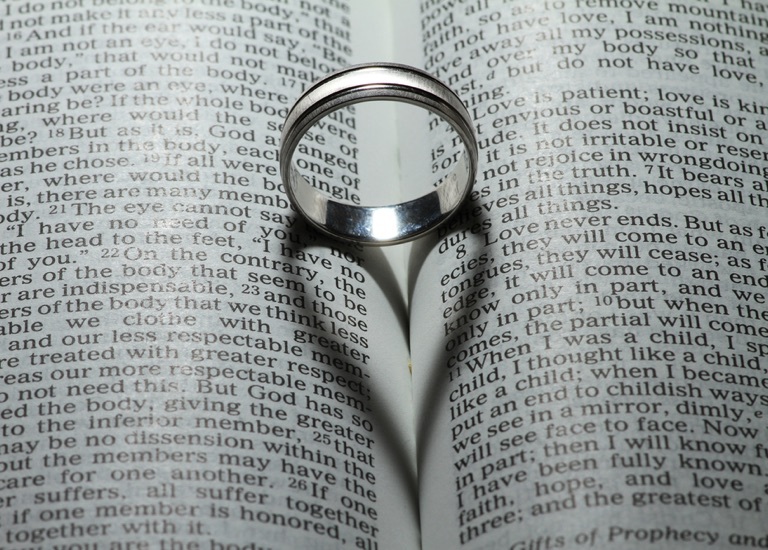 Marriage may help you on the journey of discovering your life’s purpose, but only if you’re married to the right person. 4. Marriage will not make you whole. As Christians, we may be imperfect but we’re not incomplete. We’re not supposed to be looking for our ‘other half’, or ‘better half’. We’re complete in Christ. When I was younger we used to watch a Children’s Bible program called the ‘Donut man and the donut repair club’. The theme song had this line; ‘Life without Jesus is like a donut, ‘cause there’s a hole in the middle of your heart.’ The point is, if you’re a Christian and you feel incomplete like there’s something missing in your life, maybe you need to ask God to help you truly experience the height, length, width and depth of His love like Paul talks about in Ephesians 3 verse 18. 5. Marriage will not make you more Godly. I had a friend who wasn’t a Christian but he used to say to me, ‘when I get married, I will be more religious, start praying regularly, etc.’ He’s married now and I don’t think anything has changed. Just because you’re married doesn’t mean you’ll immediately start reading your Bible and praying every day or attending church regularly. It takes a conscious and deliberate effort to do that. When you’re married, time you have to yourself is limited so you have to prioritise what’s most important to you. If there are aspects of your walk with God that you’d like to improve on, this is the time to do it! Are there any aspects of your life you’re hoping will get better when you get married? I’d love to know your thoughts.